Chennai, which, of late, has been experiencing urban flooding, is all set to get a comprehensive flood warning system being developed by several national agencies and institutions. The project is being implemented under the supervision of a high-powered committee led by former Secretary of Ministry of Earth Sciences, Shailesh Nayak. The initiative was taken by Office of Principal Scientific Advisor after the devastating floods the city experienced in 2015. Speaking to India Science Wire here, Dr Nayak said the work was progressing well and the system is expected to go on steam by February next year. The system would keep track of heavy rain events and come out with forecasts taking into account all parameters, including tide heights in the Bay of Bengal and water levels in reservoirs feeding the city as well as in Adyar and Cooum rivers that run through it. All institutions relevant for proper functioning of the system have been involved in this exercise. These include the India Meteorological Department, the National Central for Medium Range Weather Forecast, Central Water Commission and the National Disaster Management Authority at the national level to Tamil Nadu Government’s Irrigation Department. In addition, academic institutions have also been roped in. The IITs in Mumbai and Chennai are designing and developing the system. It would be managed by the Chennai-based Integrated Coastal and Marine Area Management (ICMAM) project under the Ministry of Earth Sciences.“Information about rainfall, tides, reservoir and river levels and other parameters will flow from IMD and other agencies into ICMAM. It will analyse the data and disseminate the forecasts to NDMA, State Government and other stakeholders,” Dr Nayak added. 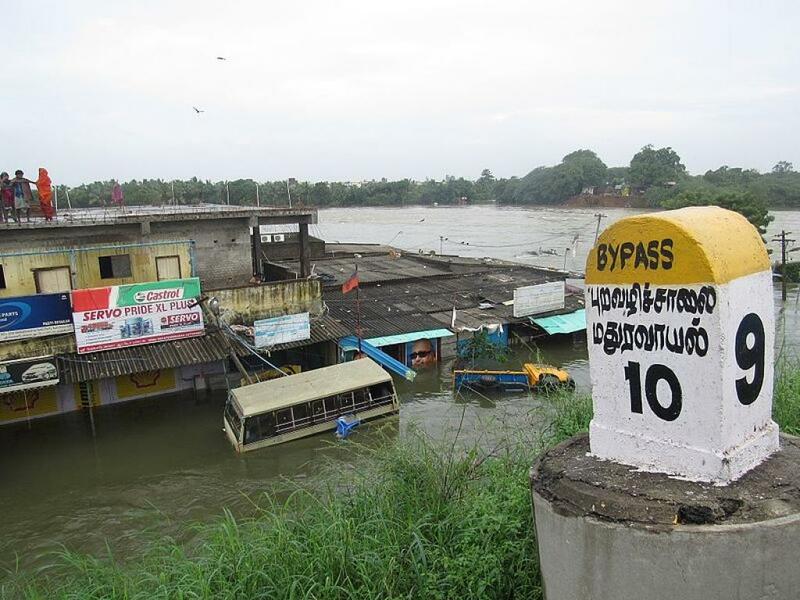 Is Chennai in need of flood forecasting mechanism or action plan to mitigate floods? Without the later, former serve very little except wasting public money on such equipment. The providers mint money on the name of flood forecast. This is big business proposition.